The booming health care industry, along with the nation’s overall focus on health and hygiene, has ignited another market for hand dryers. 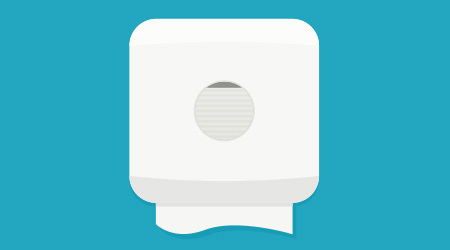 Traditionally, the health care sector shied away from using hand dryers because of the prevailing thought that they were not as hygienic as paper towels. LaFave says recent studies show otherwise, which has improved the perception of hand dryers in the health care field. The health care industry has also begun to embrace hand dryers because some now contain HEPA filters. The filters remove up to 99.99 percent of bacteria from the air so when a user places their hands in the airstream they can be assured their hands are being dried with clean air. Other devices contain infrared sensors that allow users to turn on the machine without touching a button. Another market that seems to be receptive to hand dryers is the upscale restaurant industry, which uses dryers’ sleek, refined profiles to complement its restroom designs. “You will find that people who use one of the nicer hand dryers, they just have a better perception of quality. It just creates a nicer, more hygienic, cleaner looking environment than a dirty restroom with paper towels scattered all of the place,” says Christopher Berl, founder of RestroomDirect in Huntersville, N.C.
Any business that would like to portray a sense of “hipness” and “coolness” are likely to be interested in hand dryers, Berl says. This includes trendy bars and nightclubs, along with retail establishments. DiCicco says he is also noticing hand dryer installations in new construction, including full installations and those that combine hand dryers with paper towel dispensers.